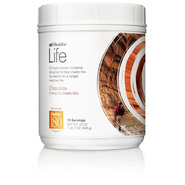 The Vitalizing Plan combines the Shaklee Life Energizing Shake with Vitalizer, giving you the essential vitamins and minerals your body needs along with added nutritional benefits. The plan includes 30 servings of protein and added sustained-release B & C vitamins, carotenoids, and additional probiotics within Vitalizer™. ⱡ When prepared as directed with 1 cup of nonfat milk. 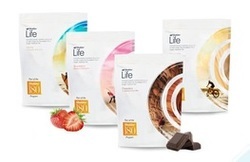 Utilizes the Shaklee Micronutrient Advanced Release Technology system (S.M.A.R.T.) designed to dramatically improve absorption of key nutrients.